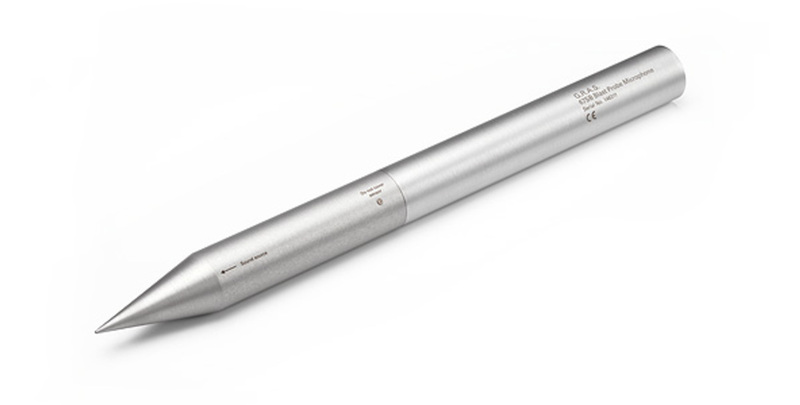 The 67SB Blast Probe is designed as a reference microphone for impulse measurements according to the ANSI S12.42 standard. The 67SB can measure impulse signals with an A-duration of 0.5 ms ≤ impulse ≤ 2.0 ms, and it has a working range of 10 Hz – 20 kHz. The 1/8” reference microphone inside the 67SB is ideally suited for capturing impulsive signals with a very fine time resolution. This microphone has an upper limit of 174 dB in the dynamic range. The 67SB is equipped with a 1/8" reference microphone which is designed to capture impulsive noise with a very short duration. The 67SB is provided with a 1/4" threaded hole for monting the 67SB directly on a tripod e.g. AL0006. The 67SB has a length of 410 mm.